Great news: Josh, my old running buddy from Brisbane, has decided to join me in my adventure. 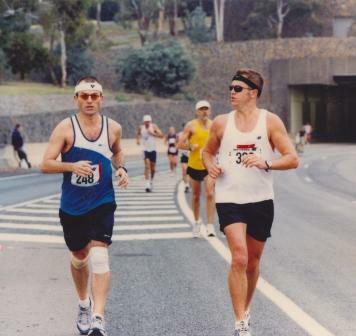 We had a great time together training for and racing the Comrades in 2003 in South Africa. With his help, we will now be able to not only raise more funds for the Fred Hollows Foundation but also run as a team in Morocco next year – The Fred Hollows Team!